A team of promotional experts from the Riviera Nayarit CVB, the Tepic Hotel and Motel Association, and sales executives from 10 hotels presented their tourism offer in Mexico City, Toluca, and Puebla. 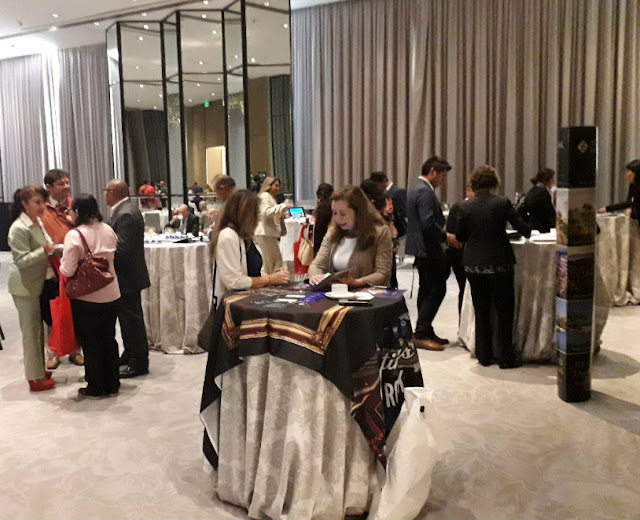 The Riviera Nayarit Convention and Visitors Bureau (CVB) and the Bahía de Banderas Hotel and Motel Association (AHMBB) promoted the destination in Toluca, Puebla, and Mexico City to strengthen its presence in the domestic market. 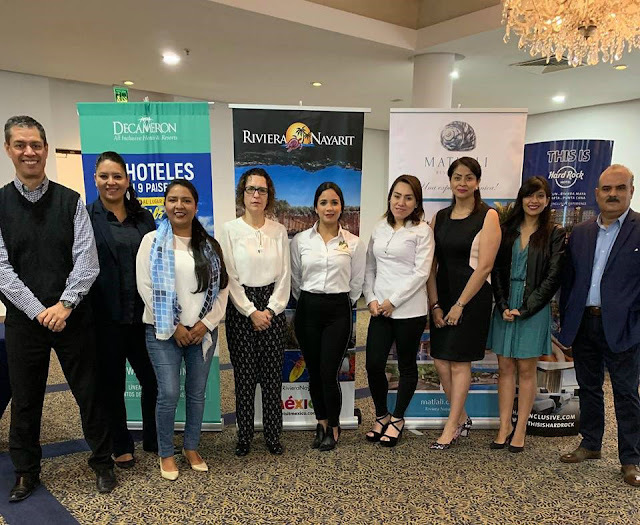 The Tepic Hotel and Motel Association joined the team in its work to showcase the attractions of both the capital of Nayarit and its surrounding area; they were accompanied by wholesalers Imacop and Magnicharters. From March 13-15 a group made up of representatives from the above-mentioned promotions offices and 10 destination hotels presented its tourism offer to more than 200 travel agents. 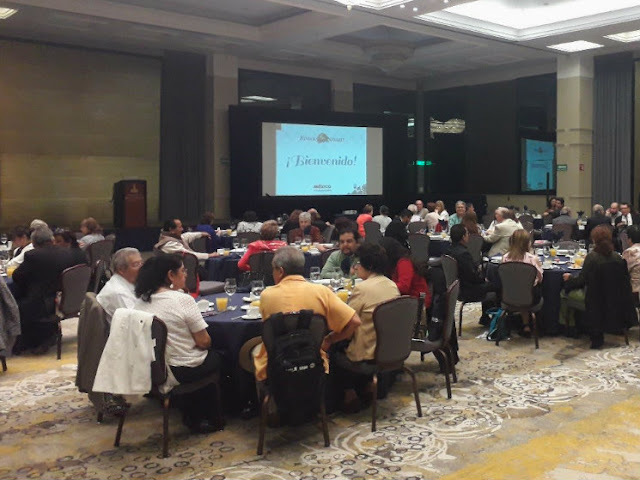 A breakfast seminar was held on the first day in Mexico City for 100 agents, as was an exclusive presentation for meeting planners with information on the Riviera Nayarit’s excellent venues and services for the meetings segment, which guarantee the success of their events. These presentations were repeated on March 14th and 15th for 40 agents in Toluca and 66 agents in Puebla. Participating hotels in these promotional efforts. Participating hotels in these promotional efforts included Paradise Village, Grand Velas, Marival Resort, Iberostar Playa Mita, Royal Decameron Complex, Matlali, Hard Rock Vallarta, W Punta de Mita, and Grupo Vidanta. During the presentations, sales executives offered updates on their properties, highlighting the marketability of their vacation packages with an eye on Holy Week and Easter season. The Riviera Nayarit is gaining in popularity in the central-south and central-east portions of Mexico, which is home to 30% of the country’s total population. This makes it a very important area of origin for future tourists to the destination. A breakfast seminar was held in Mexico City for travel agents. The Riviera Nayarit Convention and Visitors Bureau (CVB) and the Bahía de Banderas Hotel and Motel Association (AHMBB) continue to work together to advance the region, strengthening its promotion and helping position Mexico’s Pacific Treasure on the domestic map with the support of the Government of the State of Nayarit via the Tourism Promotion Trust (Fiprotur).